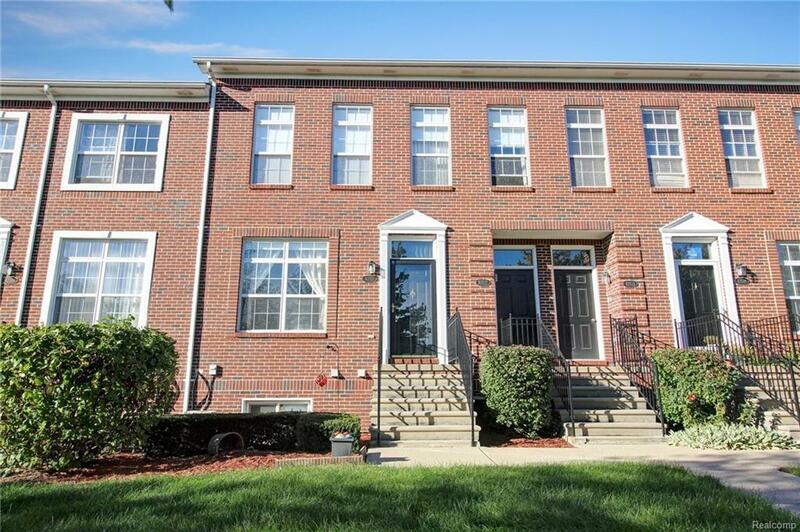 Brick Brownstone Townhouse in desirable Sterling Heights with Blue Ribbon Utica schools, walking distance to many parks. Close to shopping and restaurants and many more parks. This home is located in the back of the complex, park like front yard. A beautiful pond in the back of complex. Three bedroom with two full bathrooms and half bathroom. Move in ready, hardwood floors throughout. Refrigerator, stove, dishwasher, microwave, washer, dryer and a Home Warranty included. OPEN HOUSE Sunday, October 14th 1-4 pm. IDX provided courtesy of Realcomp II Ltd., via Arterra Realty Michigan Llc and Realcomp, ©2019 Realcomp II Ltd. Shareholders. Copyright 2019 Realcomp II Ltd. Shareholders. Real estate listings held by brokerages other than KNE Realty 360 are marked with the Realcomp-approved IDX logo and are provided through IDX through Realcomp II Ltd. IDX information is provided exclusively for the consumers' personal, non-commercial use and may not be used for any purpose other than to identify prospective properties consumers may be interested in purchasing. Any use of search facilities of data on the site, other than by a consumer looking to purchase real estate, is prohibited. The accuracy of all information, regardless of source, is not guaranteed or warranted. All information should be independently verified. Data last updated: 2019-04-22T19:56:28.65.